The truth is, homes are bought and sold year-round. And while the market is typically quieter during the fall and winter, savvy buyers and sellers know how to use this slow down to their advantage. In fact, depending on your circumstances, now may be the ideal time for you to purchase or list a home. So, while a “slow market” may scare off some buyers and sellers, it can actually be the perfect time of year for you to list or purchase a home. While the rest of the market is hibernating until spring, take advantage of this opportunity to get a jump start on your competition! Every client’s circumstances are unique. 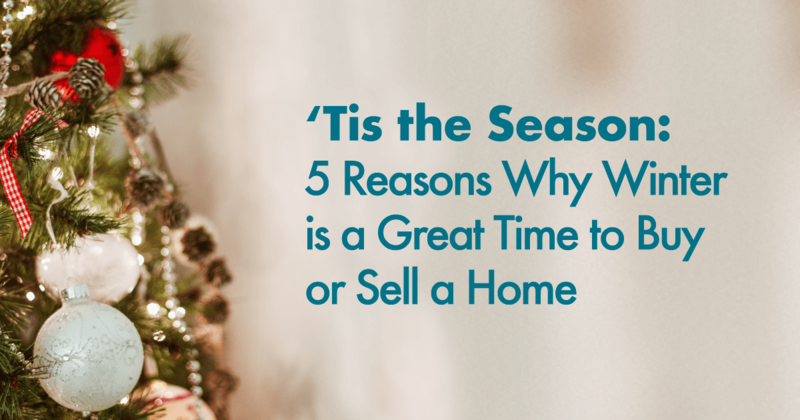 Whether you need to move quickly, or you simply want to take advantages of all benefits this season has to offer, it’s a great time to enter the market.